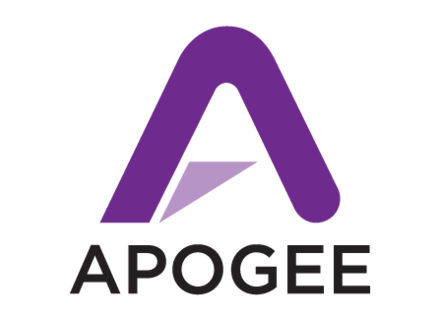 You have three days to get new and refurbished hardware with a -15% discount at Apogee Digital. Black Friday deal at Apogee is available on new Jam Lightning, One, Duet and Quartet audio interfaces, MIC microphone and GiO guitar processor as well a on a selection of refurbished hardware, until December 1st at store.apogeedigital.com. Apogee interfaces ship with Lightning cable Apogee announces that the One, Duet and Quartet audio interfaces for Apple iDevices and Mac now ship with an iOS Lightning cable. Apogee confirms Logic Pro X compatibility Apogee announces that most of its hardware is compatible with the brand new Apple Logic Pro X DAW. Apogee Quartet Audio Interface Review A little more than one year ago, we reviewed the Duet 2, the second generation of Apogee's mobile USB audio interface with two mic inputs. With the Quartet, the Californian engineers have produced the missing link between the Duet 2 and the large Symphony I/O, that is an interface with four mic inputs and ADAT.